The Dutchess County Fair begins Tuesday, August 23rd. Today marked the agricultural "move-in" day. 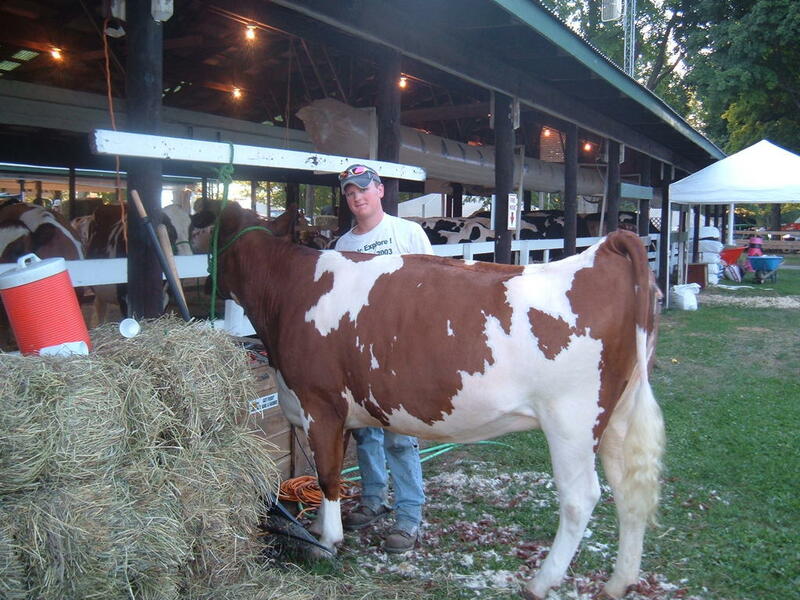 Though our family does not have cows on Bentley Farm, the Bentley Farm cows, boarded at Clarence Knapp's farm, are still joining the Angell family children for another year at the Dutchess County Fair. 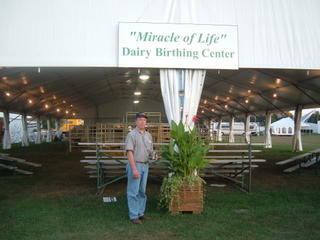 While past years have featured Isaac and his team of oxen, this year features a birthing center for cows! We have entered a 'birthing cow' (artificially inseminated in light of this event) to the exhibit. If the cow actually does give birth, the cow's owner receives a monetary bonus. Suffice it to say that if I was the cow, I would give birth at around 2:30am. 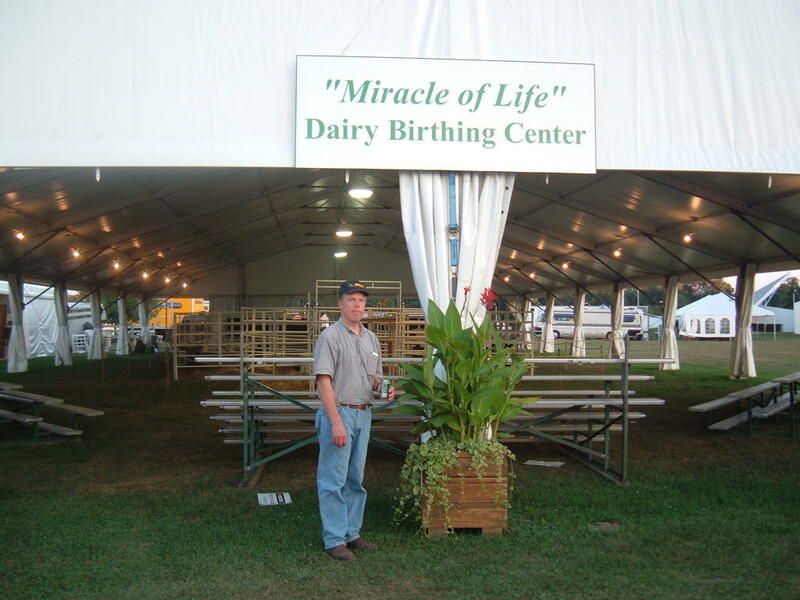 A cow's life changes on the Dutchess County Fairgrounds. It is very regularly cleaned and groomed and is even given a major shave (Nate is doing the honors above). The cow judge looks to see that the animal is properly groomed and shaved. In addition the cow judge evaluates the overall "dairyness" of a cow, including the size and position of its udder, the straightness of the spine, the breadth of the legs and even the cow's gait. It is like a Miss America pageant. Except for cows.